Saturday, we attended the LA Opera for a performance of Mozart's The Magic Flute and it was incredible. We even saw James Franco being ushered backstage after the show. Unfortunately, it was dark and we didn't really take photos. 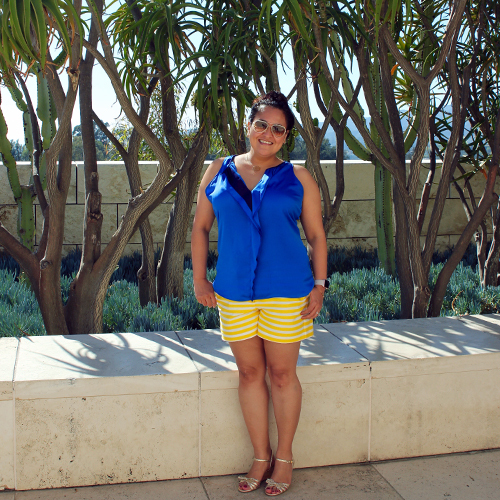 But, I didn't miss the opportunity to take my camera on our visit to The J. Paul Getty Museum the next day. 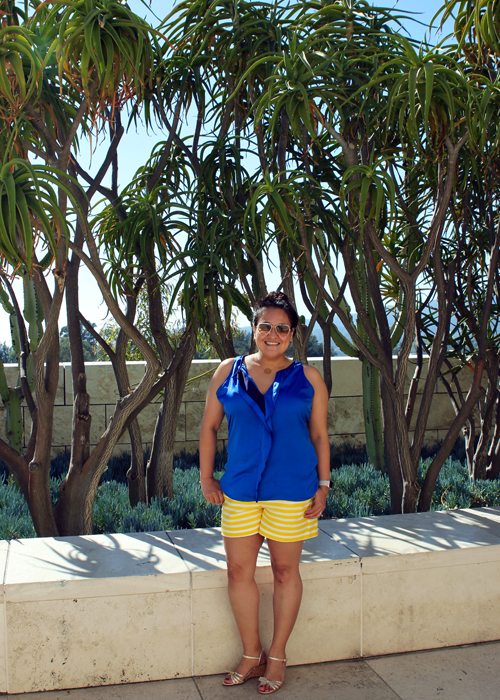 I LOVE the Getty (see my last visit here) and this was no different. 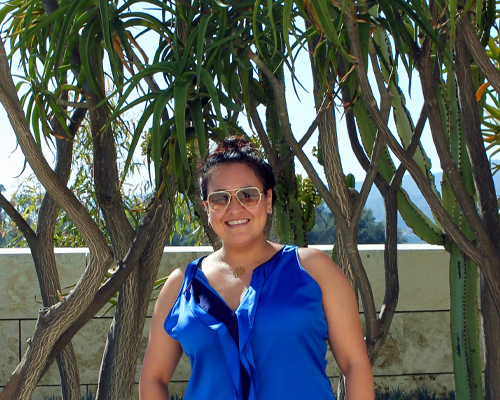 I bought these shorts during a LOFT clearance and while they fit great on the waist, the legs were really wide and I had to have my tailor take them in a bit to give them a more streamlined look. Even so, they are still very comfortable and I love both the fabric and the striped pattern. We started with brunch and stayed nearly the entire day. We wandered around the gardens and then strolled though a couple of the galleries. We were particularly interested in their Bernini sculpture.